If you’re looking for a good way to quickly and cheaply build up your pattern collection with a lot of different styles, consider picking up or subscribing to a European pattern magazine or two. Popular among European sewists, pattern magazines are released either monthly or a few times a year and contain entire collections of new sewing patterns, often in very on-trend styles. The main caveat to pattern magazines is that in the interest of economy, the patterns themselves are printed in an overlapping format on large pattern sheets, often looking like a maze or a roadmap, and you’ll need to trace your pattern in the correct size before you can use it. Additionally, the quality of language translations varies quite a bit by magazine. However, these magazines provide a lot of bang for your sewing buck, and most are very well drafted and fit true to their size charts. All of the magazines I’ve highlighted here offer at least a small “plus” collection per issue, and two (KnipMode and Ottobre) offer every pattern in their entire size range–up to a European size 52. Consult the pattern instructions within the magazine. These will tell you which pattern sheet contains your pattern and what color ink was used to print that particular pattern. Find your pattern and appropriate size on the pattern sheet. If the pattern sheet contains a busy roadmap of pattern lines, it can be very helpful to use a highlighter marker to trace the correct size line for your pattern. Trace your pattern onto tracing or medical paper. I add my seam allowances at this time using three pencils that I’ve taped together, which gives me 1/2″ seam allowances. You can also add your seam allowances later–just don’t forget to add them! Make your pattern adjustments to your traced paper pattern. Cut your fabric. If you have not already added your seam allowances to your paper pattern, make sure to add them when you cut your fabric–there’s a somewhat difficult-to-find rotary cutter accessory that will allow you to add seam allowances while you cut with a rotary cutter. This section provides an introduction to the six most popular European pattern magazines that regularly include curvy or plus sized patterns in their collections. I’ve included basic information about each magazine, including ordering information for those who want to give these magazines a try. BurdaStyle is the most prominent of the European pattern magazines. If you’ve ever sewn a magazine pattern, you’ve probably sewn a Burda at some point. Published monthly, the German-based Burda includes a small “plus” collection in each issue, and until recently, they used to offer a twice-yearly special issue that was entirely plus-sized patterns. Burda’s plus patterns are usually available in European sizes 44-52 (39.5″ – 48″/ 100cm-122cm bust, 41.75″-50.5″/106-128cm hip). Style-wise, Burda tends to be all over the map, but generally incorporates current trends without being too “trendy”. As far as the appeal of Burda’s plus patterns…well, that’s another story. In recent years, Burda has been notorious for releasing shapeless sack-style patterns in their plus offerings. It doesn’t help matters that the models that they tend to choose for their “plus” shoots are generally not particularly curvy, so the sample garments often swim on the models. However, once or twice a year, they’ll knock it out of the park with a plus collection that includes pieces with lots of seaming and/or tailoring and doesn’t look like it’s trying to cover up a woman’s curves. Having made numerous BurdaStyle patterns over the years, I can attest that their drafting is usually impeccable. Many women love the crotch curve of their pants draft. (On my body, it’s “okay”, but I feel like I get a better fit from StyleArc.) The English translations for their instructions are notorious for being difficult to understand and spawned the term “Burda WTF” from back in the day when Burda was called “Burda World of Fashion”, or simply “Burda WoF”. BurdaStyle is available in most common European languages. Each language has a separate website and separate published magazine. BurdaStyle is available both in traditional physical magazine format, and in a digital format from their website where you can purchase and download individual pattern PDFs, pattern collections, or entire issues: US BurdaStyle website. To order the physical Burda magazine in the US, contact GLP news, where you can order either a subscription or individual issues (you’ll want the “English International Edition”): GLP News Burda page. KnipMode is a monthly Dutch magazine that offers all of its patterns in its entire size range (up to a European size 54). We’ve actually had a few posts about KnipMode on the CSC over the years, which you can read by clicking the knipmode tag. One of the nice things about KnipMode is that if you don’t want to order a whole magazine issue, you can download individual PDF patterns from their website (similar to what BurdaStyle offers). They have a nice variety of patterns and offer some pattern types that we rarely see from other magazines, such as plus sized lingerie patterns. While no English translation is available for KnipMode, German and French translated versions are available with some searching online under the name “Fashion Style”. To subscribe to KnipMode or order single issues, see the helpful instructions that Mary put together in her post: My Year With KnipMode. La Mia Boutique (LMB) is a monthly Italian pattern magazine that focuses mostly on women’s sewing patterns. Most of their patterns are available in Italian sizes 42-46; however, each monthly issue includes a small selection of “plus” designs, as well. IMO, La Mia Boutique’s plus designs are typically more feminine and interesting (including having a fair amount of shaping) than Burda’s “plus” designs. La Mia Boutique also publishes special Taglie forti (“plus”) issues twice a year. LMB’s style tends to have a lot of feminine details and be trendier than some other pattern magazines. The only language that La Mia Boutique available in is Italian, so you’d need to either be able to roughly understand Italian or not need instructions to use this magazine. Years ago (when I remembered more Italian), I bought a few copies of LMB and did make a few garments from them. I found the size chart to be accurate and the patterns to be well-drafted. To obtain LMB, you can either subscribe through the LMB website, or if you’re in the US, order single issues through Around the World Magazines or eBay. My Image magazine is a twice-yearly publication that is based out of the Netherlands and includes translated sewing instructions in English, Dutch, German, French, and Spanish. I’d describe their overall style as “nice basics with trendy details”. One unique thing about MyImage is that they show each pattern made up in several different fabrics and styled differently to help give more inspiration beyond a single photo/line drawing. The size range for most of their women’s patterns is a European 34-46 (32.7″/83cm through 42″/107 cm bust), but they do offer a handful of patterns each issue in sizes up to a European 52 (49.2″/125 cm bust). My Image is one of the easier European magazines to obtain; they have an online shop that’s translated into all of their supported languages where you can order single issues, including back issues, or order an annual subscription: Made By Oranges. If I were completely new to sewing from pattern magazines, Ottobre Woman is probably the one that I’d start with. Based out of Finland, Ottobre has fully translated versions available for Finnish, English, German, Dutch, Swedish, and French. Their designs tend to be contemporary basics that can be made again and again with small design tweaks and different fabrics. On an equally user-friendly note, like KnipMode, nearly all of their designs are available in their full size range (European 34-52). (Unlike Burda, Ottobre actually includes shorts and activewear patterns in their plus range.) Ottobre Woman is published twice a year; Ottobre also publishes a quarterly children’s pattern magazine, and also has a new annual “family” issue, too. I’ve made a few things from Ottobre over the years, and like most of these European pattern magazines, I’ve found the sizing to be accurate and the patterns to be well-drafted. If instructions are important to you, Ottobre has far-and-away the most easily understood (and best translated) instructions out of the European magazines that I’ve tried. You can subscribe to just about any combination of Ottobre magazines or even buy single issues (including back issues) from their website: Ottobre – Subscribe and Order. A little bit more difficult to obtain than most of the magazines in this post, Patrones is a monthly Spain-based pattern magazine. With a focus on designer fashion, including several designer knockoff patterns per issue, each issue of Patrones has a limited number of plus size designs. They do periodically publish a plus size-focused issue as a “Tallas Grandes” special edition. I have not personally sewn anything from a Patrones magazine, but I know that some sewists are big fans–particularly more advanced sewists. Patrones does not offer any translated versions of their magazines or instructions, so if you need instructions, you’ll probably want to have an understanding of Spanish sewing terminology. The easiest way to obtain Patrones is to either search eBay and Etsy for single issues or to order a subscription through Global Magazines: Global Magazines – Patrones Subscription. Have you ever sewn from one of these pattern magazines? Which have been your favorites? Any words of advice for your fellow sewists on pattern magazines? I have had a subscription to Burda for years. I like the drafting and styles. I am definitely curvy but I can start with a size 42 because that’s what my upper bust size is. Most of the coats I’ve made over the years are Burda. I’ve sewn with Knip Mode and Mia boutique and I have copies of Patornes, Ottobre and new image. I also have several copies of the Brazilian magazine, but can’t recall the name. They have a nice plus size section, but their patterns come in a very limited selection. I subscribe to Burda, Knipmode, MyImage, and Ottobre and, frankly, I love them all. One other thing I wanted toss out about MyImage is that each issue also includes three free pdf pattern downloads for anyone who purchases the issue. I have had really good luck with all of these magazines and rarely purchase patterns from the commercial pattern companies these days. Tracing and adding seam allowances is a pain, but I have to at least trace any pattern I use since I make a lot of adjustments for my pear shaped/tall body. I also heard about a french magazine, La Maison Victor, out there. I don’t know that much about it and my french is non-existent but it might be worth checking out. I’m off to check out “La Mia Boutique” and see how expensive it is… It sounds interesting. Knipmode/Fashion Style is a true wonder, and I’m very sorry for you Americans that it’s not available in English. The patterns tend to have very interesting lines (sometimes a little too interesting… but that sure is better than Burda’s shapeless sacks!). I have been buying it for half a year now, and I’ve finally made my first piece of clothing from one of their patterns… and it’s a real wonder! The instructions were rather sparse (a bit Burda like) but with a little experience/a good sewing book it’s nothing impossible to make. One thing to note though, if you decide to get the french edition: there’s a difference in sizes between what’s in the magazine itself, and what’s on the pattern sheet. From memory, in the french version you pick your size, then trace one size smaller on the sheet. So if the chart say you are a 52, you will have to trace a 50. Interesting comment on the french version. I had no idea. I use the dutch version and have been really impressed with the fit and styles. Another trick I use to speed up the tracing process is I use rubber bands to attach two Sharpies together. The space is pretty close to 5/8″. If I want my seam allowances smaller, I just use smaller pens or pencils. It really speeds up the process. I use medical exam table paper since it’s readily available in the US. It’s not as see through as some other papers but it has not been an issue for me at all. i want My Image #15 just for that gorgeous blouse on the cover! I love that neck style. Just an FYI: Swedish tracing paper is available on Amazon. I’ve used both Swedish tracing paper and medical table paper. Both are available through Amazon. The medical exam table paper is very affordable and works great. I was at Barnes and Noble and they had all these new sewing magazines packaged with mccalls or simplicity patterns. Like 3 patterns per magazine. I thought they were cool but didn’t feel like spending 20$. Anyone try these? As a Dutch sewist with over 40 years of pattern tracing experience I’d like to add a few thoughts. I often wonder why people struggle with tracing. For the sake of science I set a timer while I traced a Knipmode long sleeved top: 4 minutes and 35 seconds. The same top as PDF would take me so much longer! Lately I’ve been wondering if it perhaps comes down to having access to the right kind of tracing paper. The paper we can buy over here is very cheap and almost just as transparent as the pattern tissue used by The McCall Pattern Company. If medical exam paper in the US looks the same as the stuff used here it’s a lot less see through! It may be worthwhile to compare different types of paper, baking sheets or large plastic bags. Another option is placing more sturdy paper under the pattern sheet and use a tracing wheel to mark the pattern lines. For adding seam allowances you can use a double tracing wheel. Thank you for the helpful hints! I quite like the idea of placing my medical exam paper under the pattern, covering with the large sheets of tracing paper I sourced from Richard The Thread in Californiaand then putting the pattern on top and using a tracing wheel. I don’t want to use a highlighter to highlight a particular size, as I sew for more than myself and for more than one child. Hopefully I will speed up with practice. As a relatively new Ottobre subscriber, I LOVE their designs. Re using a highlighter to make tracing easier – with pattern magazine sheets, and Japanese pattern books for children, which use a similar system, I use Frixion brand heat/friction erasable highlighter pens to mark the outline of the size I want to trace. A quick smooth over with a warm dry iron and ta-da! All gone! Try it and see! An interesting and useful article, but you’ve only mentioned western European pattern magazines! A year ago, I posted about international pattern magazines on my blog, mentioning magazines from Russia, Japan and South America, as well as western Europe (although I confess I did not deal specifically with just those containing larger sizes). However, my listing of magazines was by no means comprehensive and I know there are more to be had. I mentioned the magazines that I was familiar enough with to talk about in a “roundup” post and that I knew could be easily obtained. 😉 This is by no means an inclusive list–it’s meant to be an introduction to a different type of pattern than some of the readers here might not be familiar with. Oh, my mistake! I thought this was an overview of pattern magazines for a site with an *international* readership, not just for readers ‘here’, wherever ‘here’ might be. Thanks for this complete post! I’ve subscribed to Ottobre Woman since before they separated the women’s designs from the kids’ designs about a decade or more ago. They are great basics and they do tend to fit much better than other plus size patterns (they don’t just add 1/2 inch around all the pattern pieces like some of the other folks do – big women don’ have their crotch at their knees!). Ottobre is also very responsive to questions and listens to its readers about what you would like to see in terms of future designs. I”m 5’4″ and weigh over 200 lbs. with very broad shoulders/bust and their 52 tops work for me with some slight adjustments. I’ve used most of the other magazines at some point, too, and would agree with the author that Ottobre is the easiest to use – decent instructions in English. I found Knipmode to be not a great fit for larger ladies, but their children’s magazine (knippie idee) is fabulous for pre-teens/kids. If you are an intermediate level sewist, you should be able to navigate the non-english instructions of the other magazines if you have a general idea of order of construction. Most stylish for larger ladies is hands down Style ARC – not a pattern magazine, but great designs. Now if we could only get Tessuti to draft larger sizes!!! Thank you for this I have some back issues of Burda plus but can no longer get this in Australia have to say I’ve just given up searching. The distributed for Oz has gone out of business .. Will look for others but not hopeful!! Hi, our local newsagents has been able to get it in for me. We are in West Australia. I spoke to the owner and they organised it for me. Worth a try. Thanks so much, great detailed information. I recently borrowed Australian Stitches from my local library. Learnt some great finishing and altering tips from experts. Great options! The earlier Burdas are much better than the current ones. I unsubscribed from the email list after a while. The collections were just blah. Even most of the smaller size garments were shapeless. If I wanted a pillowcase, I’d make one! I’ll look around for the others. I’ve found that if I get a shirt pattern with no instructions, I can often take the order of sewing from a different shirt pattern’s instructions, and if I have questions about specific things, I look them up in my Reader’s Digest Book of Sewing. I end up there a lot anyway, looking for a better technique than what the instructions say to do. Wonderful in theory, but old eyes have a difficult time tracing off the proper size! I do have a few cherished ones, but I have struggled so to trace them off and, consequently, put off actually making personal adjustments to get the ready for cutting. @Mary: I agree that tracing off the correct size can be very frustrating. I’ve not tried any of the magazines but have traced off patterns included with books, such as Watanabe’s “Basic Black” and Jansdotter’s “Everyday Style.” Having said that, I’m tempted by both Ottobre and My Image and will buy order copies to check them out. I appreciate this great review! I used to be able to get Burda Style from some newsagents locally, but they weren’t stocked last time I looked. Fortunately my local library has them and I can borrow the edition I want and just trace the patterns I want. Too bad about the others, I’m struggling to find any that ship to me in Australia! Thank you for this very helpful overview. I am a long way from leaving my comfort zone of the big Four (I know…) but it is such a big help to see a review like this that really gives me a good idea of what I would be getting into if I decided to go this way. Still working on enjoying taping a simple PDF together, ha, ha. For tracing I like transparent plastic table cloths, sold by dollar stores or medium weight painters foil. Burda Plus is actually still published, but it’s in German only. My Image/Made by Oranges has a few free pattern downloads, for anyone who wants to try them. Patrones is available in German under the name “Nähtrends.” I have a few issues, but I’m not a big fan. The instructions are very sparse, they just list the steps (eg. finish seam”) with no explanation how to do it. I’ve also seen a few patterns where the photo and the line drawing had HUGE differences (different seaming). They have a lot of more formal patterns, like pantsuits. The German version of Knipmode (“Fashionstyle”) does not include the extra booklet the Dutch version occasionally has. Many German magazines are published by “Oz Verlag”, where individual issues can be ordered. I’m not sure about international shipping though. Oz Verlag also publishes “Simplicity Meine Nähmode”, which is a roundup of recent Simplicity patterns and sometimes comes as a plus size special. Love the table cloth tip! I’ll be stopping at the dollar store on the way home! Thank You for very helpful information. Since I just re-started sewing I was sad to find fewer helpful blogs on sewing. I’m not into instagram, altho if linked I’ll check it out. :o) Hopefully blogs will pick up again? I think Curvy has become better and better each year! Did you check the Curvy bog roll? It’s a good starting point with well over 80 blogs. 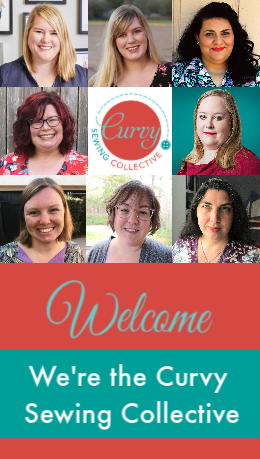 There are still thousands of very informative sewing blogs out there. Some bloggers may post less frequently because of Instagram, others keep posting just like before. Just means that you can follow more bloggers at the same time! Another way to trace is using a window and painters tape. Tape the patter page on window. Place tracing paper (I use medical paper. And tape sections together to get the right size, if needed. Place tracing paper over pattern and use painters tape to secure. Trace. I have a sliding glass door so trope the pattern at a level that is comfortable to trace when seated. The pattern sheets of these magazines are printed double sided. Using a window or light table will complicate matters as you get twice the amount of lines! It’s way easier to put them on a table and use pattern weights to keep your tracing paper in place. Diana in size 38 to 48 (EU). I like the last one because they fit me well. There is another one (belgium) La Maison Victor. I’m sure there are some more in France and Germany, but these are the once I use. Thanks–I’d forgotten about La Maison Victor. That’s a newer one, if I remember correctly? For the one pattern I’ve done, I placed blue painter’s tape around the outside edge of the pattern I wanted. The pattern pieces were too large for my limited size light table. I used 1/2″ painter’s tape so the inside edge was the pattern and the 1/2″ gave me the seam allowance. I then placed it on a large table and traced. I must agree that tracing these is somewhat of a pain, but it can be done. I’ve got a thing that I jerry-rigged at home where I taped 3 pencils together so that only the outer two touch the paper at the same time. It gives me a 1/2″ seam allowance and saves the step of adding SAs later. 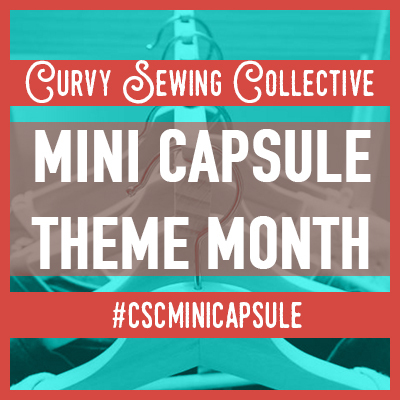 Hi, I am so very thankful for this blog and the efforts put forth for us curvy women! Never knew these existed!!!! That’s why I wrote this post. 😉 You used to see a lot more posts about sewing magazines back when sewing blogging was really big a few years ago, but since things have sort of moved to Instagram, you don’t see nearly as much. Confession: My inspiration for this was after having sewn a couple of really dresses for my daughter from B-Trendy (the kids’ offshoot of MyImage), and I went searching social media to see what other people had made from that magazine, and I could barely find anything. 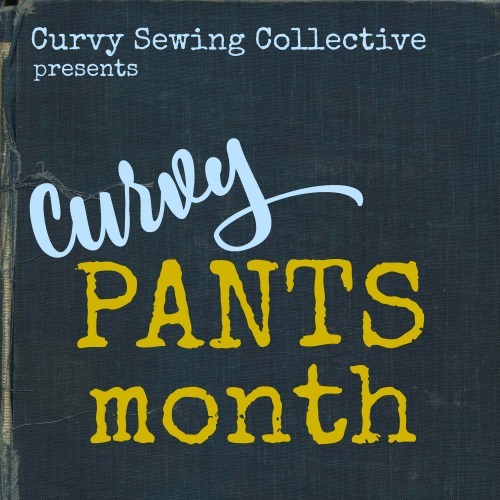 Excellent review of sewing magazines for curvy ladies, Michelle! I sew almost exclusively with Ottobre for myself and have subscribed since the first issue. Warning to anyone who orders back issues, double-check the size range for the design you like. Ottobre is very good about including up to size 52 for most of their designs now, but unfortunately haven’t always been as thorough. That’s true, although I think you have to go pretty far back for that to be a problem? I’ve subscribed to Ottobre off and on and/or bought single issues from them for probably about a good five years, and I think they’ve got pretty good coverage up to size 52 in that time frame. This is a great overview of what is available. One thing to be aware of is that European sizes vary from country to country. For example size 50 in Burda has about the same measurements as a size 54 in Mia Boutique and 52 in Patrones. Always check the measurement charts before picking a size. Burda Plus is still published just not in English. Great post. Do you know what the cup the patterns are drafted for in Ottobre? That said, I think there’s some wiggle room there. I know that a lot of women with larger (albeit not huge) busts can get away with skipping the FBA with Ottobre. I really appreciate knowing more about these options. Thank you!